PRDC Olympic Ironworks Motorcycle Event #6 Was A Scorcher! 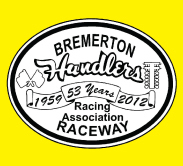 25 July 2018 Kent, WA – Heat and hydration – It seems like mother nature is treating this season of racing from one extreme to another in 2018. All drag racers dislike the rain as it stops racing in it’s tracks, but the heat it will stop “YOU”. There was plenty of liquid seen all over the grounds attempting to keep everyone cool, at the 6th event of the Olympic Ironworks Motorcycle PRDC event. Keeping his cool and throwing down a number one qualifying spot and riding it all the way to the “WINNERS” circle, made for a story book day for Mike Evans. Jacked from a perfect light to claim the number one spot and getting a break in one round was all that Mike needed to pick up his first Olympic Ironworks mid-week racing. The next race is August 22nd, see you then. 18 Mar 2018 Kent, WA – The 2018 season for Pacific Raceways got off to a little slow start as Mother Nature decided to rain on the parade with an early morning shower. With late winter temps the moisture takes way more work to eliminate than the warmer temps of spring and summer. With this task ahead of them the track crew got after it just before sunrise and by mid-morning and a line of cars in the lanes things were looking better. There were many new faces in the pits along with a bunch of Pacific’s steady racers out to test the upgrades and new rides. We’re looking forward to the test-n-tune next Sunday the 25th to see what comes to the track to tackle the northwest house of hook down the “Mark Lyle Boulevard. Images from all the action are now available – the new camera is really making a difference. 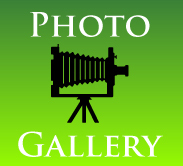 Click here to go to the photos. 26 Aug 2017 Kent, WA – Champions are made by playing the game and the game is the outcome but all that prep that no one see’s or really hears about is what really makes the champion. For those involved will look at this race #13 as their number that became a “lucky” one and not the normal that is applied to the number. This the last race of the 2017 Swift Tool E.T. Series will see those champs crowned and from them will emerge a “King of The Track”. Tons of great images for this final race – click here to go to the images. Thanks always for your support and purchases!! 25 Aug 2017 Kent, WA – It was the end of the season for the Car Club members and it showed as the lanes were loaded with cars looking to take home the last race hardware. The Jr Dragsters here for their second to last race in their season also filled the Fall National lanes with Jr. Thunder’s champ too close to call. Rounding out the race date, WCSA brought their high horsepower rides with smaller than normal tires for that much power for qualifying and attempts to tame all that power. 28 June 2017 Kent, WA – After a weekend of record-heat the mid-week bike and diesel drags basked in cloudy skies and very comfortable temperatures. Along with the two regular Wednesday series running tonight, the test and tune lanes saw quite a mix of street cars and some true race cars out to test and earn a competition license. One of those out for the process of getting a competition license was a guy named Gary. Two years of hard work with near five more just putting around on his 1970 Duster. It runs on pump gas and uses a footbrake to launch, it also has no side windows and drives on the streets. This is where the description of the car takes a turn as it is modeled after the very early “funny cars”. No lift-up body here, it has “doors” on both sides and they are all metal though the guts have been removed for weight. The car is fully caged as per NHRA rules with a motor that fits the era. He set out to bring about a “street” car with all the looks of “old” school that he could safely motor around the hi-ways enjoying his project. He plans on running it on the track though at this point the class is unknown but with his good friend Randy Parker there to help-out; no telling what class it will fall into. Good luck wherever you land and look forward to seeing it run again. Click here to purchase images from the event. On a rainy day in the Northwest most people are trying to stay warm and dry. This is not the case if you are one of the lady cyclists and part of Team Group Health/Sound Velo Cycling. They chose a rainy February Saturday recently to practice for the upcoming cycling season by hosting a “Beginner Race Clinic” for new team members. 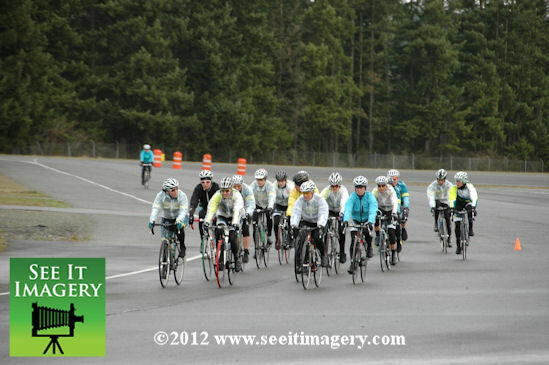 This clinic helped prepare the Cat-4 women’s field for a safe and rewarding 2012 race season. More than 30 rides used the Pacific Raceways Road Course practicing such things as bike handing, cornering along with riding and racing in a pack. The team is the area’s largest women’s cycling team. They compete in road, track, cyclocross, and mountain bike racing events at the local, regional, and national levels. Their focus on women and large presence in each cycling discipline differentiates Team Group Health from other area cycling teams. With more than 70 members strong, they are a veritable force whenever the rubber meets the road, the track, or the dirt. The woman of Team Group Health/Velo Cycling are proud of a long history of community engagement and competitive success, as well as a reputation for exceptional sportsmanship. Each season, the team remains focused on these core qualities as they strive to improve women’s racing by developing new riders and building an elite racing team. Not only will you find them competing on the road, at the track, or playing in the dirt, they also spend countless hours volunteering in our community and at cycling-related events and mentoring racers new to the sport.